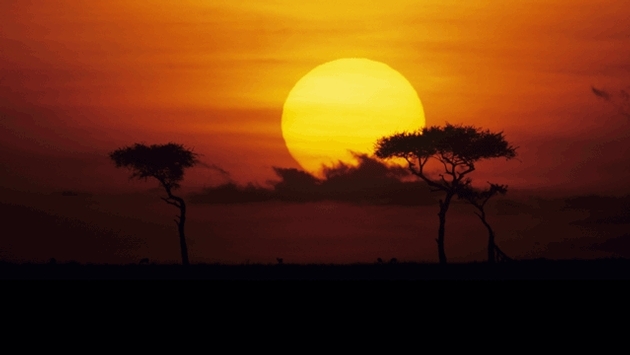 African Tourism: Cautionary Tale or Taken Out of Context? No matter what you’ve heard, Africa is not a country. It is an enormous continent containing 54 diverse nations, each with its own heartbeat. Even though this massive piece of land is three times the size of the U.S., Africa is generalized in daily commentary and referred to as one location with no distinction between countries or communities. I am here to set the record straight and tell you that these ambiguous assertions simply are not true. If you plan a trip to San Diego, would you think about taking a side trip to Atlanta? Probably not. Unlike Western Europe where you can border hop within hours, distances in Africa are typically greater and, therefore, should be considered. Whether you’re concerned about a health issue, political unrest or other crises, remember that there are still beautiful, non-harzardous places outside of those “hot zones” worth seeing, so don’t let a conflict in Sudan ruin your plans in Botswana. As a 40-year veteran of the Africa tourism industry, I can promise you that Great Safaris will not only change your perception about traveling to the cradle of civilization, we guarantee that your physical journey will allow you to gather an immeasurable amount of spiritual and emotional wealth, making your visit one of the most valuable investments of your life. From Mount Kilimanjaro to Lake Victoria, from the Serengeti to the Sahara, from the Nile River Delta to the Kalahari Desert – Africa is a mysterious world filled with magical creatures and unrivaled beauty. Whether you’re 18 or 80, Great Safaris can design an itinerary to meet your needs and wishes so you can explore a small part of what Africa has to offer.